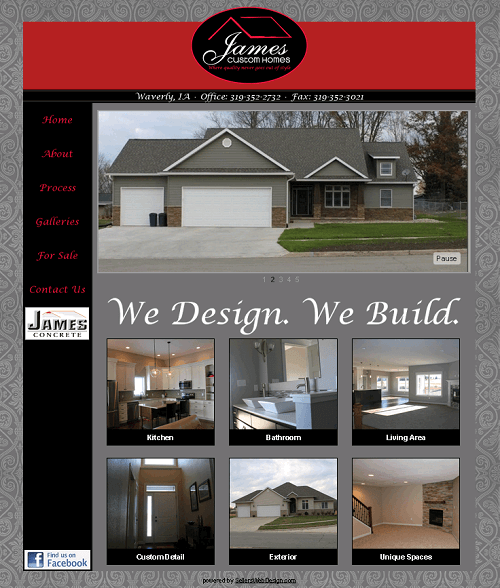 James Custom Homes is a home design and construction company based out of Waverly, Iowa. They have been building quality homes since 2005. The James Custom Homes website was built according to the company’s design specifications and utilizes our content management system for easy modification of the website content, slideshow image upload, and gallery image upload.